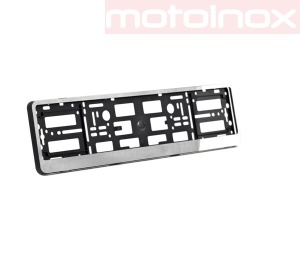 License plate frames for cars and motorcycles made of stainless and self-adhesive steel, polished or ground with nickel addition. Steel thickness 1 mm - automotive (hard PVC washer). Motorized frame 1.5 mm thick steel frame and chromed stainless steel washer.